Considering how close it was to Christmas we had a good turnout on a chilly, damp morning. Ken and Anne, Anne Murray, Mike, Alan, Kay, Donna, Tom and Roger met at Petra’s to decide on the morning’s venture. Due to Tom having some lame excuse for having to leave early we decided to stay close to home and go to Brunswick Point which actually turned out to be a good choice! On the way we passed through the TFN lands but little was seen aside from large numbers of Northern Pintail, a few Northern Flickers, Song Sparrows, Bald Eagles and the usual European Starlings. A small number of Trumpeter Swans were found along 33rd. Along the River Road Dike Ken sighted a female Belted Kingfisher and a juvenile Northern Shrike. On the river were a few Horned Grebes, Double-crested Cormorants, Northern Pintail, Mallards, Mew Gulls, a Red-breasted Merganser and one Long-tailed Duck. Further along the river the first of several Western Grebes were seen. Farther along River Road we stopped for good views of a Rough-legged Hawk preening. The dike trail at Brunswick rewarded us with some excellent birds. 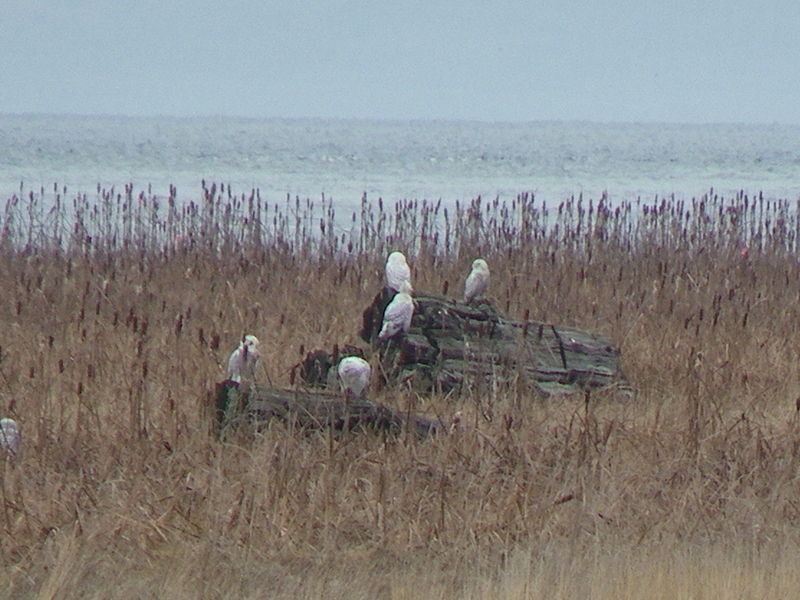 From the first benches we were able to see 9 Snowy Owls with one upended tree stump having 6 perched on it. Anne M sighted a Fox Sparrow and some Purple Finches which she has some uncanny ability to distinguish from House Finches (we are all envious and will double our efforts to develop this skill). Somehow, Kay picked out a Marsh Wren in the jungle of reeds and we were all able to get some good looks at it. 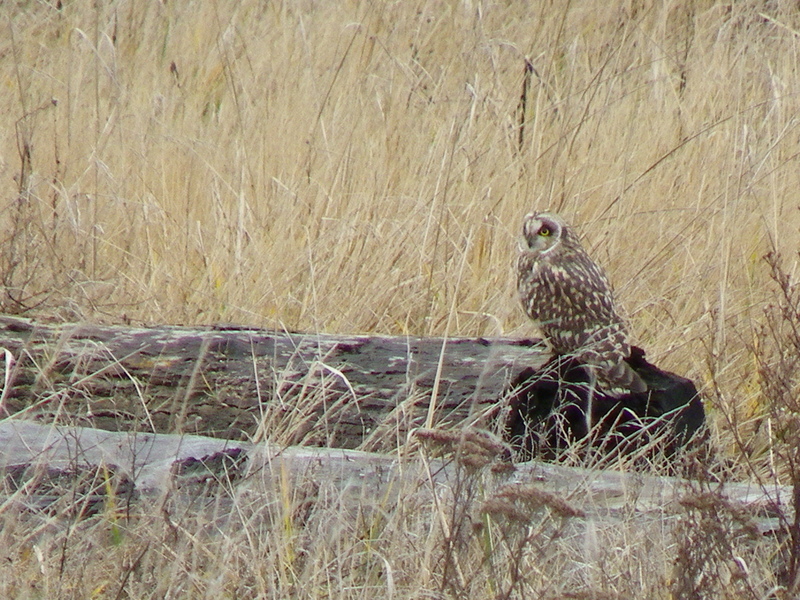 A Peregrine Falcon flew over our heads after scaring up the ducks on the foreshore and many Northern Harriers and three, or four, Short-eared Owls were hunting over the marsh. Large flocks of Black-bellied Plover and Dunlin were flying over the shore line. 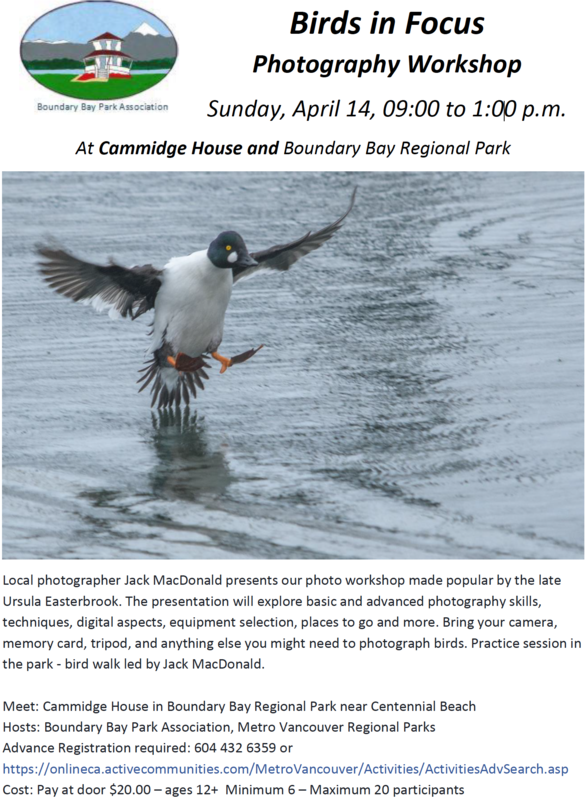 Also seen were numbers of Trumpeter Swans, Snow Geese, American Wigeon, Green-winged Teal and Mallard. Our numbers dwindled as first to leave was Tom, followed shortly after by Ken and Anne. The hardier members carried on and had a great view of another Peregrine perched in a tree more owls (Snowy and Short-eared) and a group of seven Long-tailed Ducks inside the river mouth. We pondered the question of what these sea ducks were finding to eat in the brackish river water? It was interesting also that their diving was synchronous. 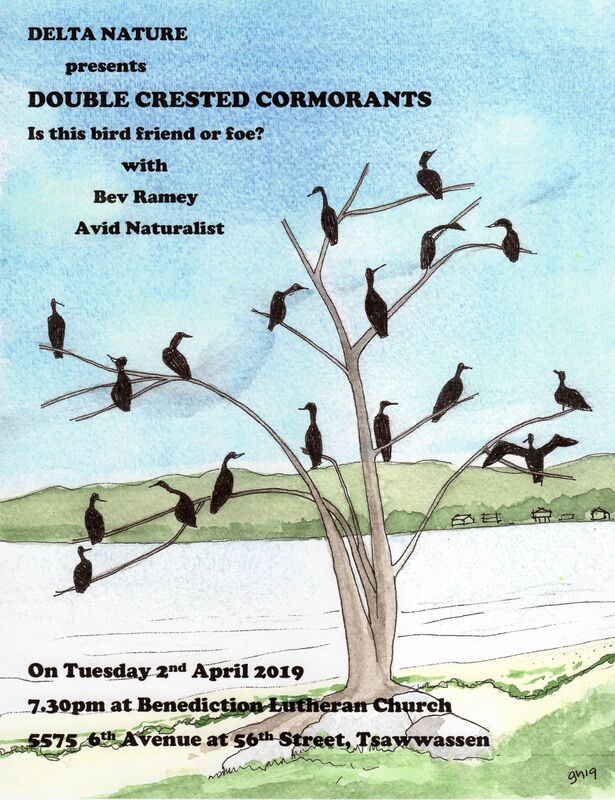 We also wondered if the Western Grebes at the mouth of the river were the same ones that in previous years would hang around the Westham Island bridge? Quite a few Bald Eagles and a few Red-tailed Hawks had been seen at various points on the trip. Due to impending hypothermia we decided to call it a day and we all felt it had been a fairly rewarding experience. Lorna, if you read this, you will see what you are missing for those Kung Fu lessons you are taking. 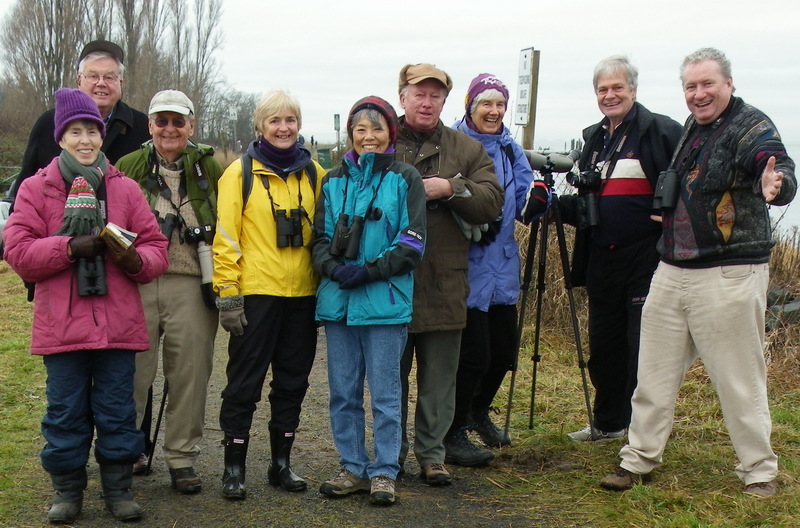 Next week, being Boxing Day, and the 27th being the Ladner Christmas Bird Count, we will not be having our regular Casual Birding trip. Watch for Tom’s e-mail regarding the following week’s trip. Merry Christmas to all and a Happy New Year… see you all in January. 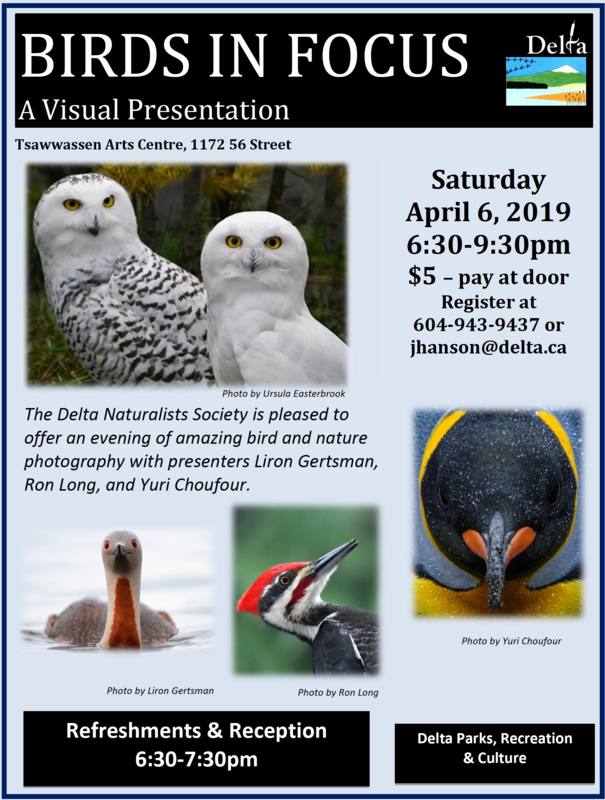 This entry was posted in *DNCB, Bald Eagle, Black-bellied Plover, Brunswick Point, Dunlin, Long-tailed Duck, Northern Harrier, Northern Shrike, Peregrine Falcon, Red-breasted Merganser, Red-tailed Hawk, Rough-legged Hawk, Short-eared Owl, Snowy Owl, TFN, Trumpeter Swan. Bookmark the permalink.